I try to get students used to work regularly in different groups with a different assembly. When you use regularly some method to build the group, it is really easy for students to accept it as one of your operating model. In my class students are sitting in the groups of four. I also tend to divide the students into groups randomly. I number the group tables and have four same number pads for each group in my number pouch. When students are coming into the classroom they pick up a number pad from the pouch and go to the group which the number shows. Depending of the age they are pleasantly tense or slightly aloof with whom they are working. It is important that the schools deliberately mix the genders in the classrooms, train students to work in diverse groups and so support the growth and equality understanding. Students are sitting at the table number four. The most important way to close the gender gap especially in Math is what is happening during the lessons. When the lesson includes learning by doing, social learning and/or interdisciplinary Math, students have possibility to talk and debate in groups and find solutions together. Interdisciplinary Math and real-life related themes show students that the math is meaningful. Students need to be engaged, to get positive experience and even have fun during the Math lessons. Generally Math lessons are more a bunch of routine computation exercises without real life connection and especially girls feel it cold and disconnected from their life. 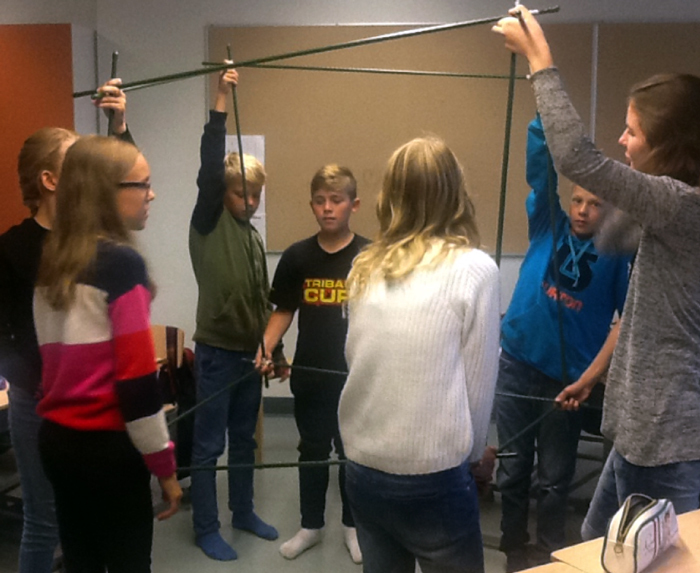 Girls and boys are building together the model of a cubic meter. During my Fulbright to George Washington High School New York I met my partner Cecilia Villabona. I admired the way how she was guiding the teachers how they should regard the different genders in the classroom. During the “Learning Walk” teachers could visit others lessons. A group of teachers was sitting in the back of the class and made their observations of different things like how well the teacher took into account both sexes in her/his teaching.This was a perfect way to make everyone notice if you are purposeless expanding or closing the gender gap. 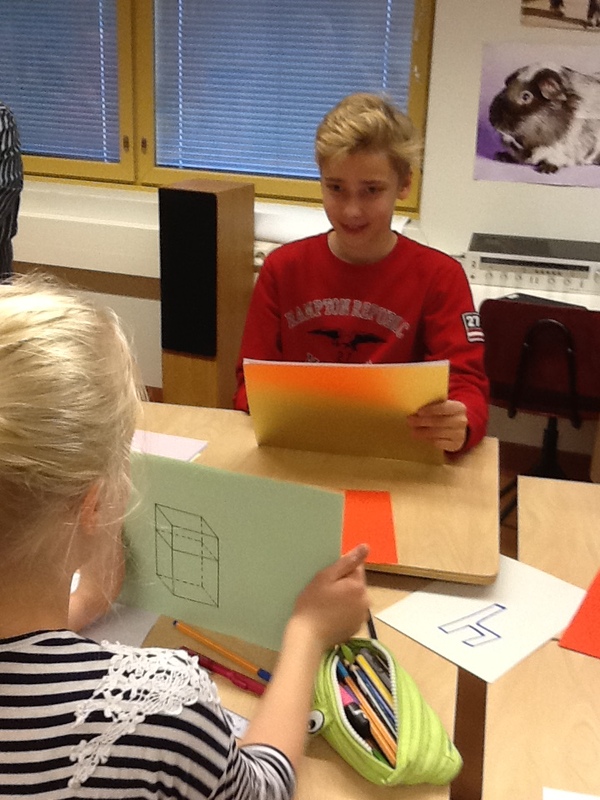 I took the Learning Walk method into use in my school in Finland. I have noticed during my career that a temporary effort or campaign to close the gender gap is not the most effective way and don’t necessary have the lasting impact. We need to use practices which we use regularly or permanently in our schools. How do you answer for the following questions concerning your school. Is the structure of the student groups always the same or is it varying? Are your school and teachers aware of this practice in his/her classroom and practices on the school level? http://marketing.pathstomath.com/wp-content/uploads/2013/04/paths_to_math_logo_340x156.png 0 0 Maarit Rossi http://marketing.pathstomath.com/wp-content/uploads/2013/04/paths_to_math_logo_340x156.png Maarit Rossi2016-03-17 07:37:182016-03-18 05:47:26What Are the Best Examples You Have Seen of Teachers Closing the Gender Gap in Education?